NWA Democrat-Gazette/J.T. 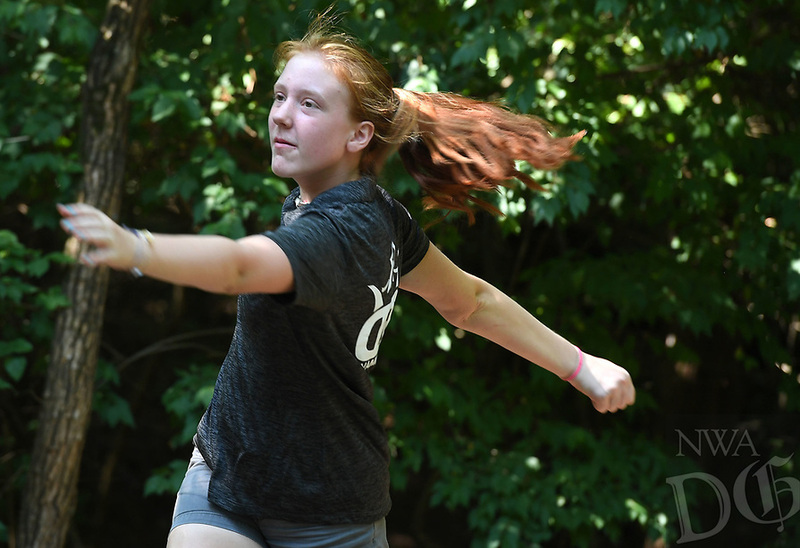 WAMPLER Edie Heard of Sherwood watches her drive on hole 2 Sunday August 5, 2018 during the Archibald Yell Classic disc golf tournament at Waxhaws Disc Golf Course at Walker Park in Fayetteville. More than fifty disc golfers played in the annual tournament. The course is on the site of and named after Archibald Yell's old estate in south Fayetteville. Yell was ArkansasÕs first congressman and second governor.